Why Do Problems Happen in Even the Best Nursing Homes? There are many reasons for this growing concern. Some nursing homes put profits over patients. This is true, even in “non-profit” nursing homes, or nursing homes run by religious institutions where executives and managers often earn huge salaries; but do not see to the day to day activities of hourly paid staff members. Additionally, when a “non-profit” nursing home uses other for-profit companies to manage or run the facility for them they can lose control of each patients needs and concerns. In reality, the vast majority of care in nursing homes is provided by certified nursing assistants (CNA). Most CNAs have good intentions but, unfortunately, they can often be overworked and under prepared to provide necessary care. Unlike a licensed registered nurse (RN) or licensed practical nurse (LPN), CNAs are not trained nurses. They receive approximately two weeks of training, often at the home itself. They are often left to care for far too many residents. In addition to caring for residents, the CNA must properly document every resident’s chart so everyone involved is aware of what is happening with every resident. Keeping complete and accurate charts is extremely important in the nursing home setting. Un-like a hospital, where a doctor typically sees a patient on a daily basis and the patient is cared for by a team of highly trained nurses and other professionals, a nursing home resident may see a doctor once a month or even less. 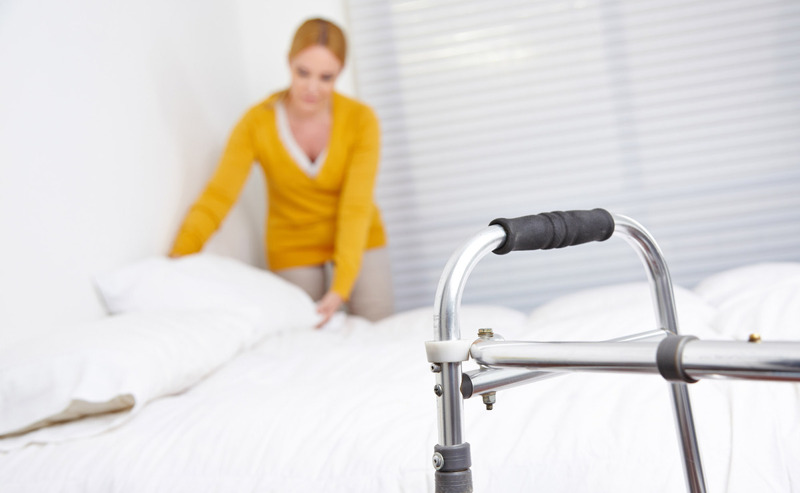 Nursing home residents usually have difficult and complex medical conditions. If they didn’t they probably wouldn’t need to be in a home! The doctor caring for the patient is caring for a patient who usually has several conditions that require care. The doctor often has to review several patients at the same facility in a short amount of time. The role of CNAs at nursing homes is critical. As Penelope Ann Shaw, PhD 1. wrote in the September 2014 issue of The Journal of Post-Acute and Long Term Care Medicine, JAMDA “The CNAs’ critical role as providers of direct care includes making sure we residents are kept clean and safe from falls and elopements, are kept properly fed and hydrated, are monitored for skin break- down, are provided some engagement to reduce agitation and depression, that changes in our physical and mental condition are reported, and, in my case, ensure a safe transfer between my bed and my power chair with a hydraulic lift.” 2. Neglect often occurs when CNAs are overworked or are assigned tasks they are not trained to perform. Turnover is also extremely high amongst CNAs. Too often, there are simply not enough CNAs on hand. This is particularly true during overnight shifts when CNAs may be the only staff available to answer call bells and attend to unexpected needs of the residents. This problem is complicated by the fact that far too often CNAs on overnight shifts are also tasked with duties not directly related to resident care. Additionally, CNAs are increasingly being asked to do tasks that they were never trained to do. (Read Mary’s Story) Even the most well meaning and experienced CNA lacks the training that an LPN or RN has. Lastly, because CNAs are paid substantially less than nursing staff, they are used more and more by homes looking to keep their expenses down.